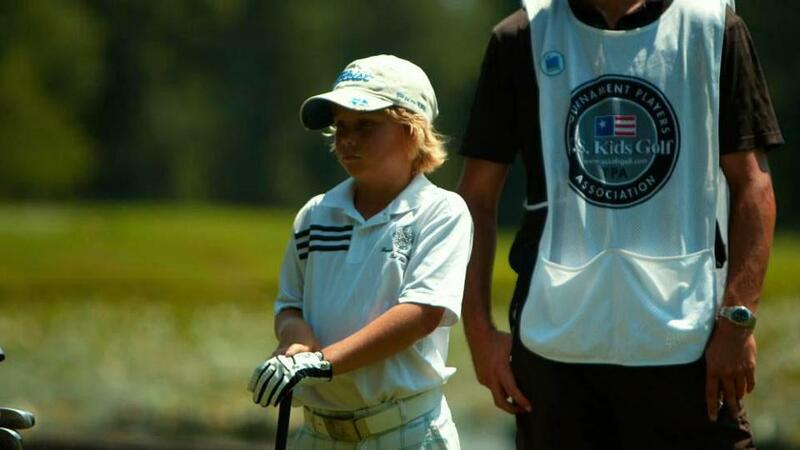 Near the end of “The Short Game,” we find 7-year-old Allan Kournikova at breakfast, listening as the adults at the table attempt to keep in perspective his upcoming golf tournament that could result in a world championship. “I’ve been in this kind of pressure a million times,” Allan reassures them. Those around Allan seem convinced. Rightly so. After all, the kid calling the shots has more than 100 golf trophies back home. “The Short Game” is director Josh Greenbaum’s debut feature film, a documentary that follows eight youngsters as they train for, then compete in, the 2012 US Kids Golf World Championship in Pinehurst, N.C. All are either 7 or 8. Five are boys. Four are from the United States; the others are Zamakuhle Nxasana (South Africa), Kuang Yang (China), Jed Dy (Philippines), and Augustin Valery (France), the great-grandson of French poet Paul Valery. What Greenbaum captures is compelling, and occasionally uncomfortable to watch. Sports in their purest form are played by children, who are — most of the time — much too young to be tarnished by professional-level jealousy, scandal, sacrifice, and unfair expectations. These kids can play, though. Alexa Pano, a 7-year-old from Florida whose Patriots visor is matched by a cap worn by her father/caddie, shot a 30 for nine holes and is a three-time world champion. Amari Avery, an 8-year-old from California, has plenty in common with Tiger Woods: born on the same day, in the same county, both seemingly with a golf club in hand. In this film, she has a tense duel with Sky Sudberry, who has the name and the game for golf. Even if you don’t play or like golf, the on-course action is dramatic and easy to follow, although the announcer describing the tournament action -- it’s Edd Hall, from “The Tonight Show with Jay Leno” -- seems a poor choice, a cheap television rip-off. Sometimes, the best scene is simply watching the on-screen characters speak. There is plenty of that, usually coming from Allan, who seems destined for greatness in some form. Perhaps it’s the bloodlines. His older sister, Anna, was a famous tennis player, who also burst onto the scene at a very young age. Now it’s Allan, who has a personal trainer, a swing coach, and a caddie. Greenbaum shows it all, the good shots and bad. And when Allan says, “I don’t feel like I’m giving up my childhood. Golf is my childhood,” you wonder if he’ll say the same thing next month or next year, much less 20 or 30 years from now. Michael Whitmer can be reached at whitmer@globe.com. Follow him on Twitter @GlobeWhitmer.